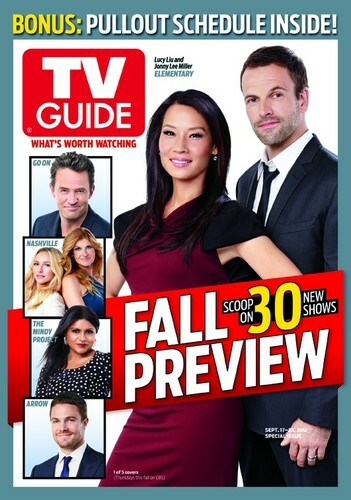 Jonny Lee Miller & Lucy Liu TV Guide Magazine Fall Preview. . HD Wallpaper and background images in the Sherlock & Joan club tagged: jonny lee miller lucy liu tv guide magazine elementary. This Sherlock & Joan photo might contain anime, comic kitabu, manga, cartoon, and mkono.